Late snowfalls didn’t effect the World Rookie Tour calendar 2012 and the upcoming kick-off events of are confirmed. In addition, as a special Christmas gift, the World Rookie Tour crew announces today the release of a full leght movie about the Rookie Trip to Chile 2011, featuring some of the best riders in the tour: Martin Mikyska, Sven Thorgren, Havard Bergheim, Fridtjof Saether Tichendorf and Max Glatzl. All of them won an all inclusive filming trip on the Andes to enjoy the true spirit of snowboarding. The movie was filmed and edited by “I-Like by Mone Monsberger” and the world premiere will happen on saturday 14 january in Livigno, during the Protest World Rookie Fest 2012. From 20 january the full leght movie will be available for free download on www.worldrookietour.com. While the Black Yeti is celebrating the winter season with a special Santa Claus session on the Alps, all the rookies can pack their boardbags and organize their trips to the Transilvania Rookie Fest in Arena Platos, Romania (from 6 to 8 january), and to the legendary Protest World Rookie Fest in Livigno, Italy (from 14 to 18 january). 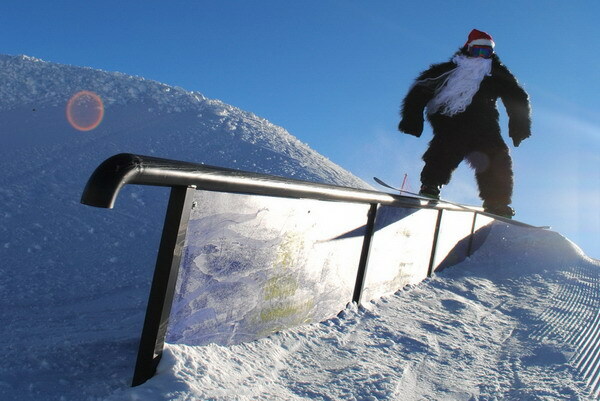 Merry Christmas from the Black Yeti and the World Rookie Tour.